The RainBird name is well know in the irrigation industry as a leading manufacturer of the highest quality valves. 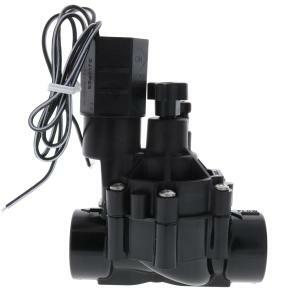 The DV/DVF valves are great for low flow applications, such as, landscape drip irrigation. Although, for flows below 3 GPM, RainBird recommends using a 200 mesh filter upstream of the valves. RainBird valves are compatible with any standard sprinkler controller. RainBird does not recommend using the DV/DVF valves in a two wire system set-up.